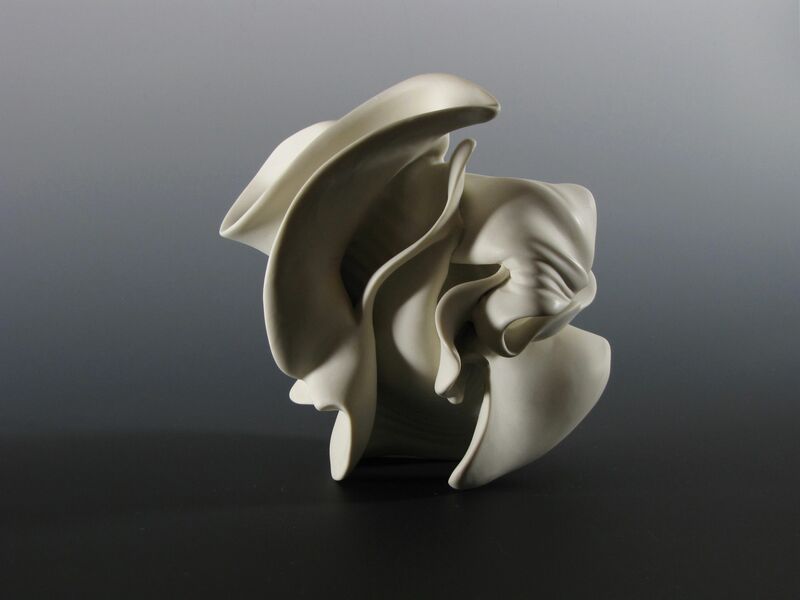 CONCH 28 (2013) is an abstract sculpture made of wheel-thrown, sandblasted porcelain by Israeli contemporary ceramic artist Sharon Brill (born in 1968). This one-off artwork is sold with a base made of painted clay. The concept of Brill’s work exists in the integration of two poles: aspiration for meticulous and restrained esthetics, and unrestricted spontaneous and intuitive search. 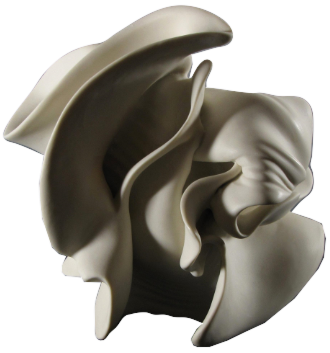 Her abstract universe of forms is inspired by the underwater world. Dimensions : 14 x 15 x 16 cm.